The perfect where to start guide when setting up your new WordPress website. Your WordPress website is installed and ready to go. Now what? Many new website owners feel overwhelmed at this stage. All the settings, the layout, the dashboard… where should you begin? It’s important to remember that version one is always better than version none, so here are a few good tasks to check off your list as you make progress setting up your WordPress site. From the moment your site goes online, there will be an audacious amount of malicious people trying to gain access to wreak havoc on your business reputation by turning your site into a Viagra-selling machine. The most basic first step towards security that you can take is to set a strong password. Go to Settings – > General – > Tagline. Think of the tagline as a subtitle to your site. Prior to organizing your navigation settings, the pages you’d like to incorporate in it must already be created, so start there. Even if you don’t already have content for those pages, go ahead and create them. Once your pages are created, go to Appearance -> Menus -> Create new menu (or select an already created one to modify). From the left side you can check the boxes of the pages you’d like to add and click the “Add to Menu” button. Once the pages are added, you can simply drag and drop them in the order you’d like. You must actually specify where you would like this menu to show up by checking the box at the very bottom of the page. PRO TIP: The title of your page does not have to be the title used in your menu. To modify the menu label, open the item and update the “Navigation Label”. Copy and paste this line directly above the “That’s all, stop editing!” line near the bottom. Set the number to whatever you feel comfortable with. IMPORTANT NOTE: Before you edit your wp-config.php file, be sure to make a copy of it. Adding code incorrectly to this file can break your site. Be sure you have a backup! For every image that you upload into the media folder, WordPress automatically replicates it in multiple sizes. The number of replicates that get made depends on a variety of factors including original image size and the theme you are using. Since one image very quickly becomes multiple images it’s imperative that you appropriately size your images prior to uploading. Failing to do this will cause your website to explode in size and become difficult to manage. By default the link structure in WordPress is quite unfriendly. In order to pretty up your links, navigate to Settings -> Permalinks -> Select Post name. Additionally, look for any theme-specific customization menus your theme might have added into either the main menu on the left, or under the Appearance menu. We highly recommend deciding on and implementing a backup solution immediately. Don’t put all your eggs in one basket, and don’t store all your backups on your server. When backing up your site (and we know you are because you already read the previous point, right?!?!) be sure to set up some sort of offline/cloud storage solution to keep your backups. Amazon S3 or Dropbox are great low cost (or even free) solutions for this. While it’s ok to store a few (like 2-3) backups on your server for convenience sake, storing any more than that is potential for disaster. If your server crashes, not only have you lost your website, you’ve also lost your backups (yes, this happens!) Additionally, most web hosting companies do not appreciate customers using their resources as cloud storage. It’s easy to get overwhelmed when working on your website, but remember, Rome wasn’t built in a day. Create a method that works for you. Whether you want to work page by page, or setting by setting, it’s important to remember that version one is better than version none. Waiting until everything is “perfect” and “finished” before launching will only ensure you never get off the ground. If you are really struggling and need some helpful advice (or someone to talk you off the ledge) just hit us up in the webform below. We’re always happy to help. 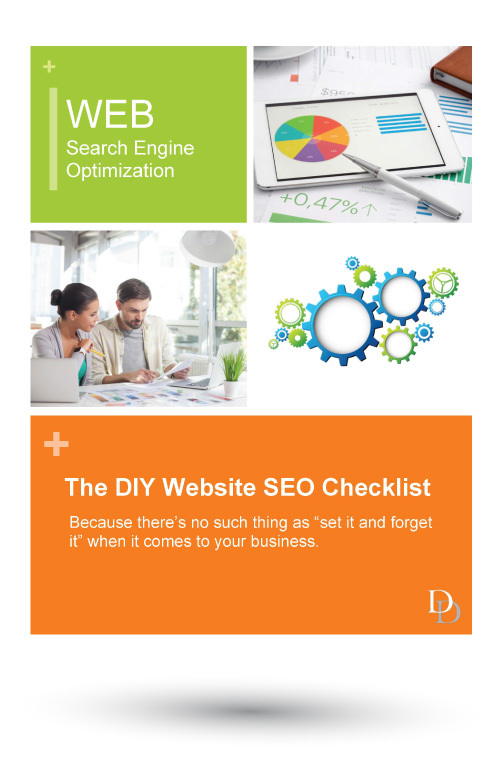 Download the Free DIY SEO Checklist! Creative Designs that Convert. Worry Free Maintenance. Marketing Automation. Jessica is the Director of Digital Marketing and Owner of Dohmain Designs. She is a small business sales and marketing expert specializing in business growth through intelligent website design and sales & marketing automation. Jessica is a Certified Infusionsoft Partner, marketing automation and CRM expert with over 15 years of professional sales and marketing experience. In 2011, she combined that experience with innovative website design and created Dohmain Designs. She has worked with biotech giants, overseen the digital marketing for a popular Discovery Channel hit TV series, and helped hundreds of clients grow their business. 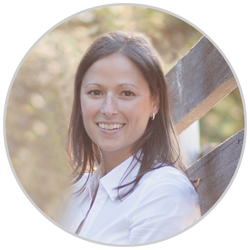 Prior to creating Dohmain Designs, Jessica worked in the fast-paced biotech sector focusing primarily on technical sales and marketing, as well as providing complicated sales-focused CRM training across various disciplines. Jessica is a member of her local Rotary Club where she has previously served as the Membership co-chair and currently serves as the Public Relations chair. Jessica truly believes in the "Service Above Self" Rotarian philosophy and strives to dedicate her time and talents to helping others, both in her personal and professional relationships. She is located in the Minneapolis / St. Paul area and works with clients all across North America. If you'd like to get in touch with Jessica, simply complete the contact form below. We are located in the Minneapolis / St. Paul area and service clients all across North America. If you are looking for help growing your business with customized digital marketing solutions, talk with us. Are you ready to learn more about growing your business? Appointments available Monday - Friday.